To understand the importance of Errors and Omissions and the ramifications associated with the absence of this coverage, it is necessary to understand the meaning of Errors and Omissions and how they pertain to your business. Let me then start by providing you with a very clear definition. Errors and Omissions is an insurance form that protects you against liability for committing an error or omission in the performance of your professional duties. Generally, these policies are designed to protect you against financial losses rather than a liability for bodily injury or property damage. An error, quite simply, is a mistake. For instance, intending to complete a task, but failing to follow through. An omission is the failure to perform. For instance, you didn’t perform a task that should have been completed; any process where tasks are left out, neglected or left undone. Negligence is the failure to do what a prudent person would or should do. Errors & Omissions addresses claims based on “failure to” allegations. “Failure to” means claims that arise from failure to do something that you should have done, failure to train, failure to perform, etc. Very few people intentionally do tasks incorrectly. They may have no idea that their performance is lacking or that they are acting inappropriately. There are many reasons why individuals may be performing tasks incorrectly. Lack of training could play a very big role in this type of failure. The most common reasons for lack of training are lack of time, lack of resources and lack of motivation. There are many people who require a more structured environment in order to perform at their peak. Written procedures or standards of performance guidelines can be a helpful tool. Without written procedures, employees tend to act on their own best judgment. While their judgment may be sound most of the time, the problem is that each person tends to develop their own system. Even if there are procedures in place, they may not be adhered to by all personnel. Methods and procedures must be applied consistently in order to minimize the chances of errors. An increasing rationale to these types of errors is lack of time. We seem to have no time to complete tasks correctly. We are all pressured to get more done, in less time and with fewer people. We must all remember that haste leads to mistakes. Procedures can create the tools needed to best use our time and eliminate the costly mistakes that lead to E & O losses. We can reduce the risk of E & O losses by identifying exposures, analyzing and measuring those exposures then deciding on an appropriate course of action and implementing that course. Implementation is key. If we merely focus on identification without making the changes needed, we will be doomed to repeat our past mistakes. As the E & O climate worsens, doing nothing can prove fatal to your company. In order to minimize E & O loss exposures, and still operate at a high level of performance, one must achieve a balance between concern for losses and satisfying the needs of your clients. This can be achieved by creating procedures for E & O loss prevention. This will help to ease your concerns while you continue to grow and increase your customer satisfaction levels. Failure to achieve this balance could result in increased costs for professional liability insurance through increased claims activity. Customer service efforts may also suffer due to fears of potential E & O losses. Employment or personnel practices or injuries to any present or former officer or employee of the insured. The insuring agreement stipulates that the insurance company will pay those sums you, the insured, becomes legally obligated to pay as damages resulting from errors or omissions in the practices of your business. The insurance company has the right and duty to defend any “suit” seeking those damages. They may, at their discretion, investigate any “occurrence” and settle any claim or “suit” that may result. In the event of an occurrence, claim, offense or suit, you have specific duties. You must immediately record the specifics of the incident and the date the suit is brought against you. You must notify your insurance carrier immediately and send copies of any demands, notices, summonses or legal papers received in connection with the claim or suit. You must cooperate with your insurance carrier and authorize them to obtain records and other information on your behalf. You must not make any payments, arrangement for payments or assume any obligation without first consulting with the insurance carrier. This should help you clearly see that the need for Errors & Omissions insurance is important and vital to you and your business. What would happen if your employee steals from your client? 2. What would happen if your employee steals from you? The general liability policy does not cover these losses. Company A Investigations has been hired by Big Town State College. Their duties are to perform due diligence background checks on prospective students. A student has complained that his personal financial information had been stolen. An employee of Company A Investigations has been caught selling student information. The student sues the Big Town State College and Company A Investigations. Company B hires a bookkeeper. The bookkeeper is responsible for paying all contractors, inventory and utility bills. She is also in charge of providing payroll information to payroll company and dispersing payroll. During an audit by an independent accountant, a discrepancy is found. Company B becomes aware that the bookkeeper has taken out credit cards in the company name and has paid herself double for the past 6 months. Protection against employee theft is an important part of insuring your company and yourself. An Employee Dishonesty Bond provides the coverage needed to ensure your company’s ability to rise above these types of losses. Most crime policies carry a conviction clause that requires you to prosecute your employee and have the employee convicted of the crime for coverage to apply. This requirement can sometimes be removed for an additional premium. The 2006 version of the employee dishonesty coverage form defines the employee as a nature person in your service (and for 30 days afterward), who you compensate directly by salary, wages or commissions, and whose work you directly control. It also includ3s temporary replacements for employees on leave, seasonal employees and leased employees. It is important to note the problematic issue being the use of independent contractors. Many companies use independent contractors, thus, it is important to inform your insurance agent of your company’s use of independent contractors. There are endorsements that can be added to round out your policy. One such endorsement, CR 25 41, can be added to include Designated Persons or Classes of Persons as Employees. This endorsement can be used to add coverage for independent contractors. 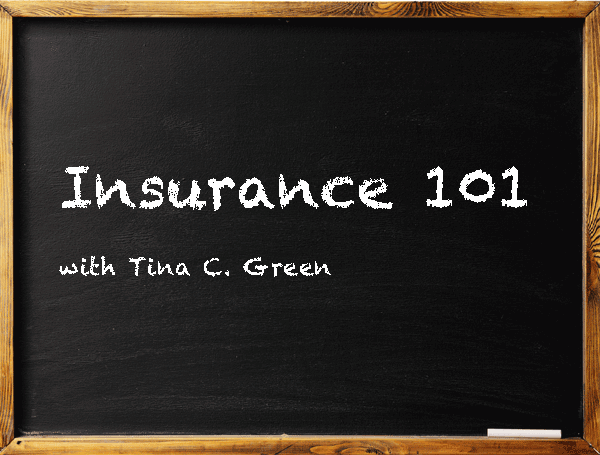 Tina has been in the insurance industry for 24 years, specifically with El Dorado Insurance Agency for 12. She has experience in a variety of coverages including Personal Lines, Life and Health/Disability, and Commercial Lines. Tina has experience in many different roles in the insurance industry ranging from Customer Service Representative to Department Manager and now currently in El Dorado’s sales team. She additionally attends national conferences, contributes articles, and speaks at chapter meetings, training classes, and conferences. Her proven knowledge benefits her co-workers and clients as she is happy to help others succeed as well.